— Beets pack an incredible amount of essential nutrients and brighten this creamy sprouted hummus with subtle earthy, mildly sweet, and smooth flavors and texture. 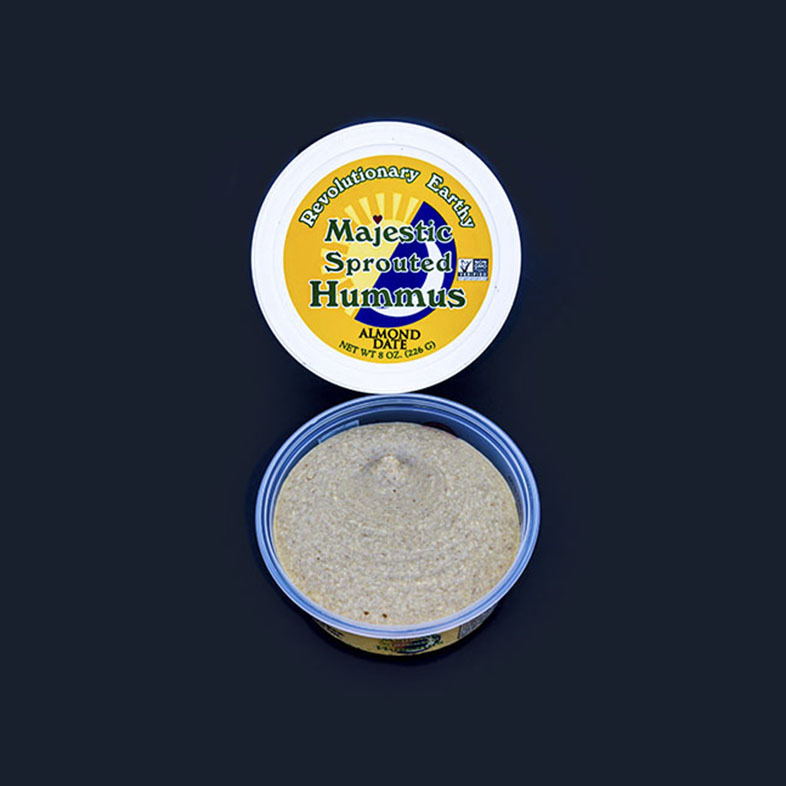 Delicious used as a spread on your favorite sandwiches, and as a dip for crackers and veggie crudités. Our Majestic Beet hummus is the perfect way to jazz up party platters, as the naturally vibrant color of the beets begs this hummus be dipped into. 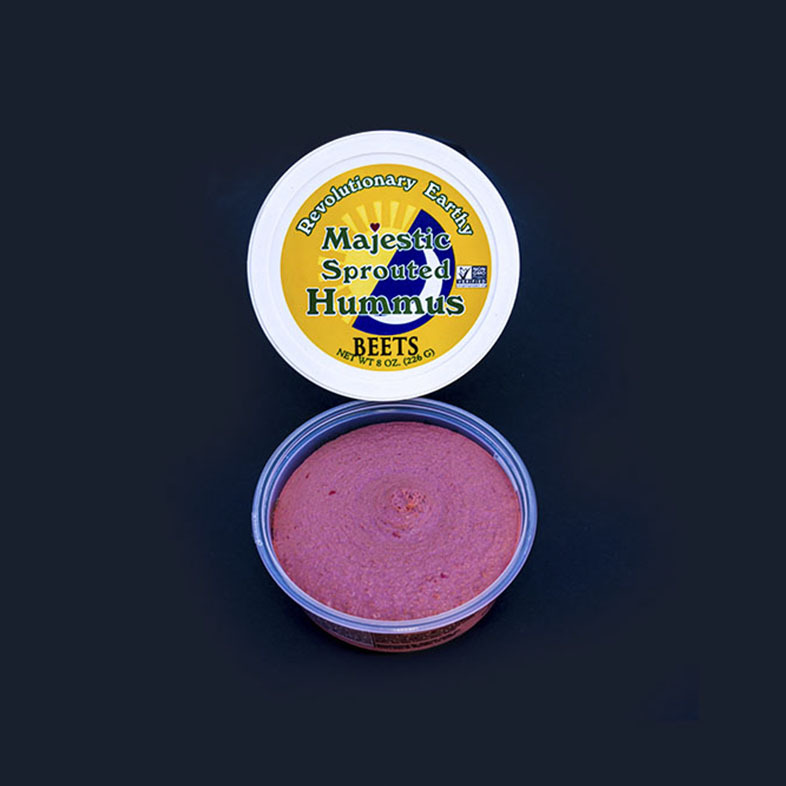 Majestic Hummus is made from 100% USA organic fresh raw sprouted garbanzo beans, organic cold-pressed olive oil, organic safflower oil, organic cold milled flaxseed, organic garlic, organic sea salt, milled cumin, and fresh lemon juice in our Beets Hummus.